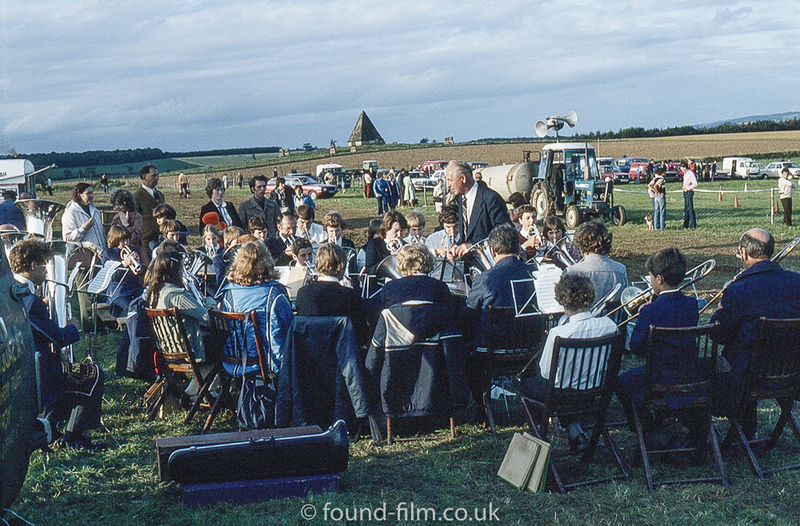 This is a picture of a Brass Band playing or getting ready to play. In the background there is a tractor which has been set up with a speaker for announcements and I can see a number of cars parked on a field so I would guess this is a country fair or similar event. The majority of the members of the band seem to be quite young so I wonder if this is a school band with a few adults augmenting the line up? The cars in the background suggest this is possibly dated in the 1980s.